Megan Clark (@meganclark1111) is the Volunteering Assistant at the Guild and is studying for a PhD in Egyptology. Here, Megan shares four local volunteering opportunities you can apply for today. You’ll find lots more opportunities via the Guild’s Volunteer pages. Men Too provides a safe, non-judgemental space for men to come together, have fun and learn new skills. Their activities are designed to give men a confidence boost and to improve their emotional wellbeing. Activities can include anything from crafts through to a trip to the cinema. The charity is currently looking for a volunteer who has a passion for the empowerment of men to help on Tuesday mornings or Tuesday afternoons. If you become a Men Too volunteer, you’ll help run activities, signpost to services and provide one-to-one support to the service’s users. You can find out more about becoming a Men Too Volunteer for WEB Merseyside via the Guild’s website. MOWLL promotes social inclusion and supports adults with the label of learning disability and/or mental health issues (self-advocates) who have experienced exclusion from education, employment and from their communities. MOWLL are currently looking for a volunteer who can teach users about a particular interest or skill. The topic could be anything, from poetry to sport, health to art. You’ll then research, plan and deliver the workshop, although you’ll receive support at every step of the way. You’ll need to be available 10:30am-12:00pm on Thursdays. You can find out more about becoming a Creative Workshop Leader via the Guild’s website. Halewood Town Junior Football Academy is looking for football coaches for their girls’ football teams! Halewood Town have a range of football teams, from under 7s to the under 16s. 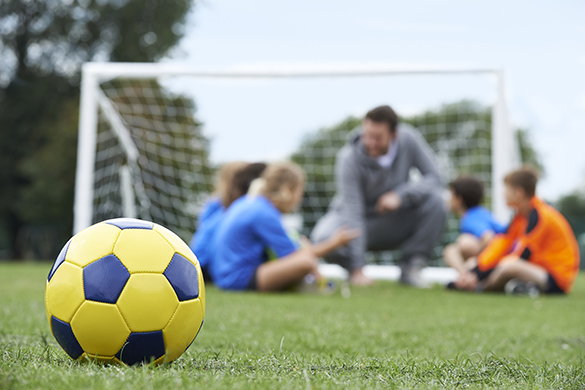 As a volunteer, you’ll assist in coaching and teaching football. Ideally, volunteers will have knowledge of football and game play, however this is not required to apply. You’ll need to be available Saturday mornings from 10am-12pm. You can find out more about becoming a Girls Football Coach for Halewood Town Football Academy via the Guild’s website. The Alzheimer’s Society are looking for student volunteers to research new fundraising avenues, support staff at fundraising events, help circulate charity publications and promote campaigns through social media and via the Society’s mailing lists. Keith's dementia affected his work, to the point that he had to make the hard decision to take an early retirement. This opportunity is perfect for students who want to gain experience in marketing, events management or work in the charity sector. You’ll need to available twice a month to apply for this role. You can find out more about becoming a Fundraising Administration Volunteer for the Alzheimer’s Society via the Guild’s website. If you have any further questions about the Guild’s volunteering opportunities, please feel free to contact the team.